We have a tendency to focus on our failures. It’s easy to get stuck in a rut where all we see is what went wrong. This is especially true with finances. When was the last time you focused on the good progress you have made with your money? In Canada, we don’t talk about money much. When we do, we often complain about it. But what if we were able to talk more about our financial wins? This year, for Credit Education Week, the theme is “financial wins”, encouraging Canadians to share the moments when they took control of their situation to reach a financial goal, so that others can learn from their success. This is an important topic because too often we get bogged down in the negative. It’s much harder to stay motivated to reach your financial goals if you are stuck in a negative thought pattern. Instead of focusing on what’s wrong, look at what you’ve done right. Capital One Canada and Credit Canada Debt Solutions came together 10 years ago to create Credit Education Week, which takes place the second week of November, during Financial Literacy Month. Their goal was to increase financial literacy and education so that Canadians can learn to use credit wisely. In fact, they have a Money Smarts quiz that you can take right now. 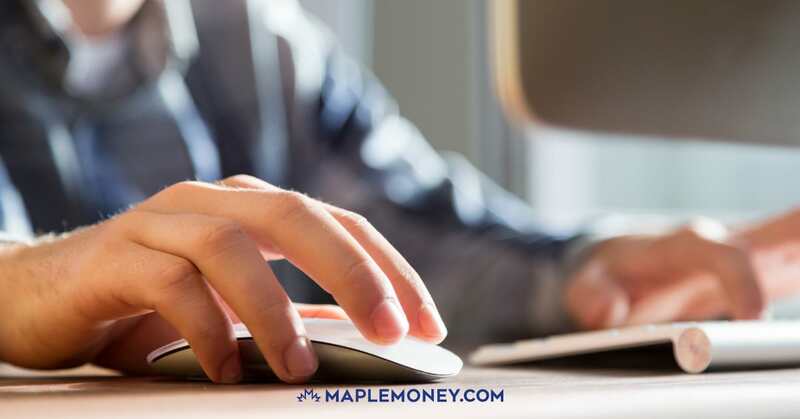 This year, Capital One Canada and Credit Canada also released the results of a survey that takes a look at Canadians’ efforts toward financial wins. Most Canadians (80%) say that they have had a Financial Win where they took control of their financial situation. The thing to remember here is that a financial win can be as small as cancelling your home phone to put an extra $30/month in savings, it doesn’t always have to be buying a house. While you might not feel that you’re quite there yet, you can benefit from this idea. And, even if you don’t feel completely in control of your finances, you can still celebrate financial wins and look to others for inspiration. Being in control of your financial situation is a huge financial win. 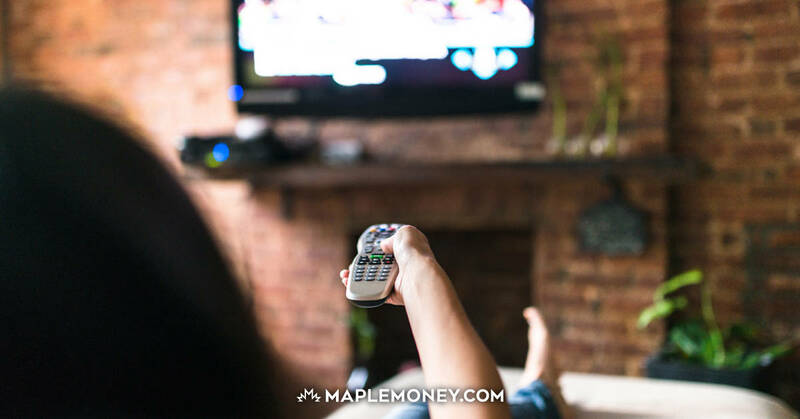 According to the study, Canadians consider feeling financially secure in daily life as the most important win (25%). Taking control and experiencing the ultimate feeling of financial wins doesn’t happen overnight. You need to make steady progress. The problem is that it’s easy to feel overwhelmed. This is why you need to make a plan and set measurable, realistic goals to help you get to the point of financial control. In fact, according to the study, 85% of Canadians say that planning helped them achieve their financial wins. I’ve been working on my own financial wins for quite some time. Back in 2009, I started a blogging business that has grown to the point where it makes more than my day job. To me, this is a financial win. However, this win didn’t happen immediately. I had to work at it, and plan my next moves, and head in the right direction over time. I reached milestones and celebrated when I did. Another financial win I was able to celebrate was proving my worth to my boss and getting a raise I asked for. 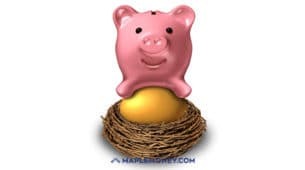 As with many financial goals, you need to lay the groundwork for your success. Start small. If you want to pay off debt, figure out how much extra you can put toward a payment each month. Then set that money aside. You’ll quickly reach different milestones, and feel good about it. Celebrate those wins, and you’ll remain motivated to continue moving forward. The bonus is that others can learn from you to start their own steps toward success. My most recent win was buying a house in Calgary, making the purchase during a cooling market. My family outgrew our old house, and my company moved me to a new location. I wanted to be able to buy a new house. Because we’d been slowly building our financial situation, we were able to qualify for a home that is working quite well for us. I consider that a big win. But you have to be prepared to keep at it. You don’t just wake up one day ready to buy a house. You have to lay that groundwork. 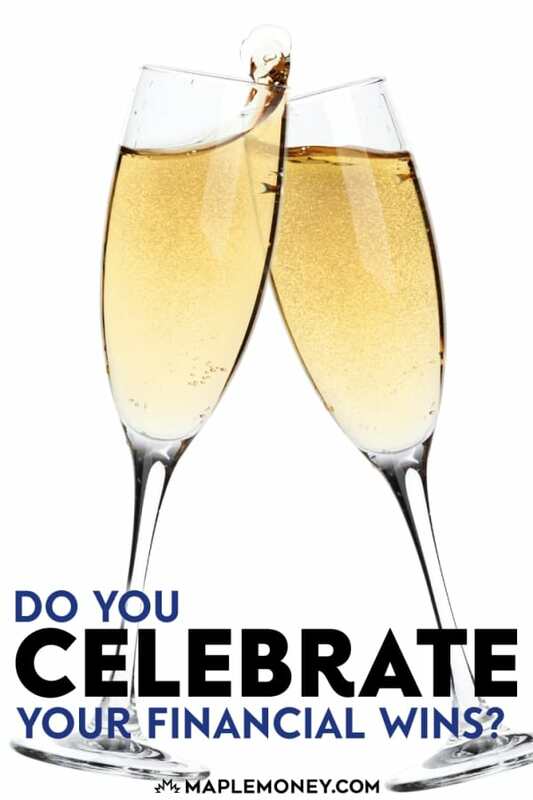 Without celebrating your financial wins, there’s no way to stick with it. You’d quickly become overwhelmed by the enormity of the situation. 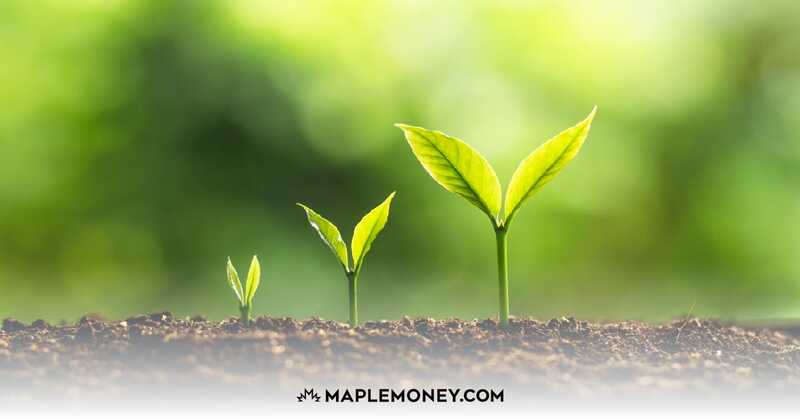 Breaking the process down and working toward your financial goals a little bit at a time lets you see your progress and stay excited about what you’re doing. 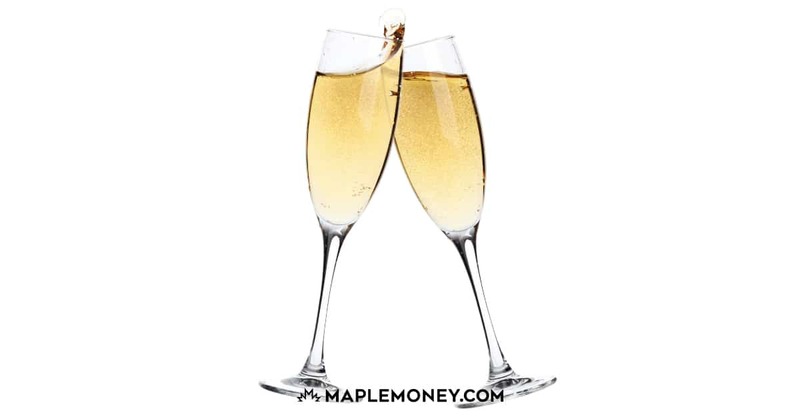 Now that you know how important it is to celebrate your financial wins, it makes sense to figure out how to do it. One of the hardest aspects of this celebration is to find creative ways to reward yourself without spending a lot of money. The point of financial wins is to help you get on the right financial track. Spending a lot of money as a reward for your successes can set you back. Instead, look for simple ways to enjoy yourself. Maybe you can get a new book. Perhaps you can reward yourself by taking the afternoon to relax any way you want. Another method of celebrating your financial wins plays on the competitive aspect. Get an accountability partner to help you stay on track. You can make a game of it, seeing who can reach their goals first. This is a fun way to stay on track. The study asked participants to give their best advice to those hoping to achieve a financial win. The number one piece of advice? Be patient and stick with it. The rewards you choose can help you stick to it. This is good advice because 64% of Canadians achieve their wins within five years, while 23% took more than 10 years. So, if you feel like it’s taking you a while to celebrate your wins, remember that you’re not alone. 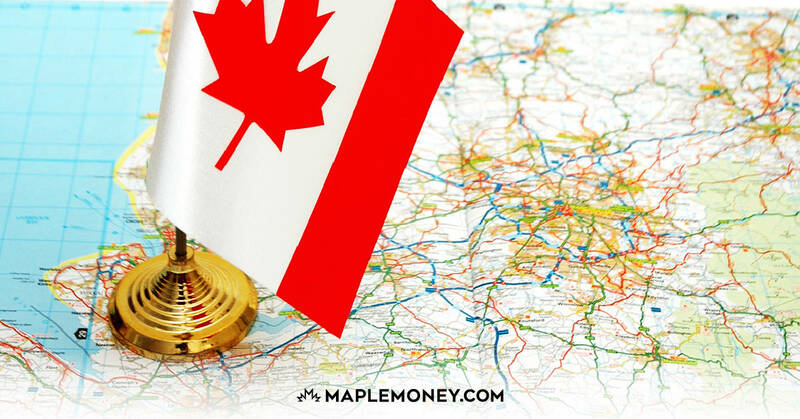 Canadians need a little time to achieve their big financial wins. As long as you celebrate progress along the way, you are likely to be in good shape. Other suggestions for achieving your financial wins including getting organized (22%, according to the study) and setting aside money each pay day (also 22%). Break down your win into smaller goals that you can achieve and celebrate. Share your successes with others, but don’t brag. Talk about how relieved or good you feel when you’ve achieved your financial wins. Then, encourage others to talk about their own financial wins. It’s important to be supportive of others’ efforts, as well as take pride in your own. Together, we can get beyond the stigma of talking about money, and we can all work toward ensuring that more Canadians enjoy financial wins. This post was sponsored by Capital One Canada, however all opinions are my own.